Dr. Michael Morris, RPC Photonics Chief Executive Officer, has been selected by the OSA Board of Directors as the 2016 recipient of the Stephen D. Fantone Distinguished Service Award. He is being recognized for extraordinary contributions to the OSA, including distinguished service as OSA President and a key role in the formation and leadership of the OSA Foundation. The Fantone Distinguished Service Award is presented to individuals who, over an extended period of time, have served the Optical Society in an outstanding way, especially through volunteer participation in its management, operation or planning. The award was established in 1973 by the OSA Board of Directors and in 2013 was named in honor of Stephen D. Fantone, wo served as OSA Treasurer from 1996 to 2013. Presentation of this award is scheduled during an awards ceremony at the OSA’s Annual Meeting, Frontiers in Optics 2016, to be held in Rochester, New York, on October 17 – 21. 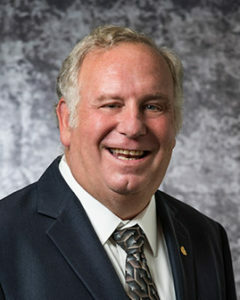 Dr. Morris served as the President of the Optical Society of America in 2003. He played a key role in the formation and leadership of the OSA Foundation (www.osa.org/en-us/foundation), serving as Chair of OSAF from 2009-2015. RPC Photonics is ISO and RoHS Certified. © Copyright 2007 - 2019 RPC Photonics. All rights reserved.